Partial Eclipse - Why is the top of the full moon chewed off in this picture? 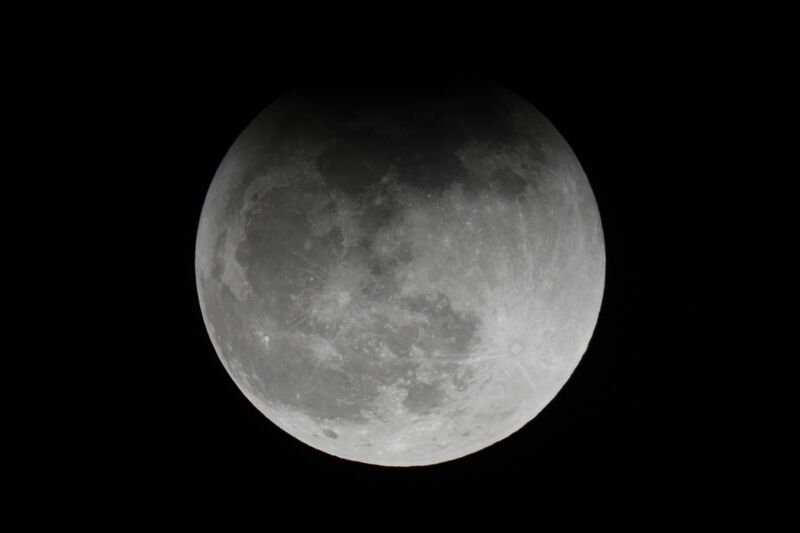 This is another picture of the lunar eclipse of December 2011. The Earth casts its shadow onto the top of the full moon, thus darkening that part. The rest of the moon has in fact just emerged from this shadow, called the Umbra.